YouTube censored a PragerU video on left-wing censorship, placing the video into a “restricted mode” that makes it unavailable in schools and libraries. The video, entitled “The Dark Art of Political Intimidation,” was created by Wall Street Journal columnist Kimberly Strassel as part of Dennis Prager’s PragerU series, which found many of its videos also slapped with the inappropriate content label last month. “We must fight back. They can only win if we let them. We can’t let them. Our freedom depends on it,” declared Strassel in the video. She explained how the left in America attempts to silence people’s political opinions, comparing it to how the Democratic Party in the 1950’s attempted to silence the voice of black civil rights activists. 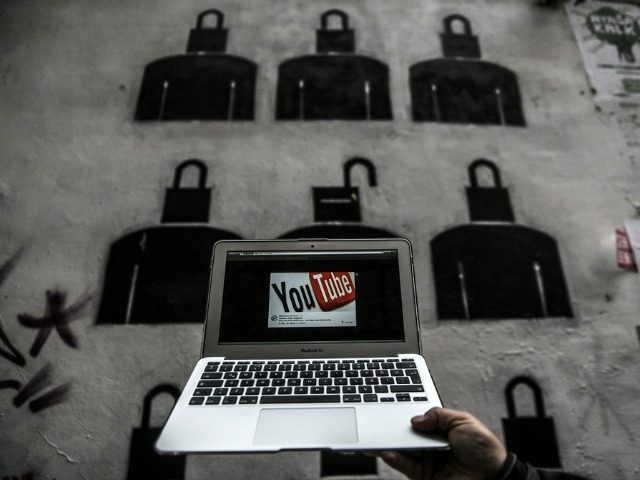 In response to the Daily Mail’s request for comment, YouTube claimed that “video restrictions are decided by an ‘algorithm’ that factors in ‘community flagging’ and ‘sensitive content. '” However the site has since appeared to have lifted the restriction of the video. PragerU’s other restricted videos remain in the category. You can sign PragerU’s petition against YouTube’s political censorship here.